A picture book of exuberant poems suitable for chanting aloud noisily. The book won the Kurt Maschler Award and was runner-up for the Smarties Prize. 'And if Ferdinand decides to make a chocolate fudge banana cake What do we do? For goodness sake! We ALL JOIN IN!' 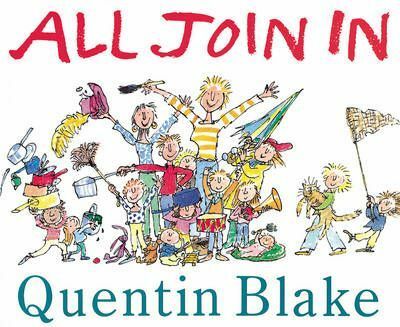 This book is a rumbustious, rollicking and above all noisy collection of seven exuberant poems, perfect for chanting aloud, that are brilliantly illustrated by the incomparable Quentin Blake. The collection includes 'All Join In', 'The Hooter Song', 'Nice Weather for Ducks' and 'Sorting Out the Kitchen Pans'. Who coud possibly resist?